OceanWise, the UK’s leading independent marine data management, publishing and GIS specialists, hosted its first Marine Data Management and GIS Workshop in Scotland at the Royal Society of Edinburgh on 21st April. The theme for the day was ‘Data Management Best Practice – why managing such a valuable asset will save you time, effort and money’. The keynote address was provided by the Data Management Association (DAMA(UK)) during which the audience learnt about the significant risks associated with inadequate data governance and its impact on businesses. Throughout the day the audience heard from government and commercial users about new and innovative developments in the use of GIS and web services as well as hearing about case studies highlighting the benefits of introducing GIS into operational workflows. The event proved popular with very positive feedback from presenters and attendees. Acknowledging its popularity, we are considering hosting this event again in Scotland in 2017 to cater for our growing number of customers and stakeholders. 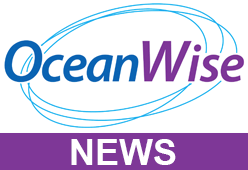 All presentation slides have been made available on the OceanWise website. If you couldn’t make it on the day or simply would like to revisit something you can do so by visiting our Scotland Workshop page.